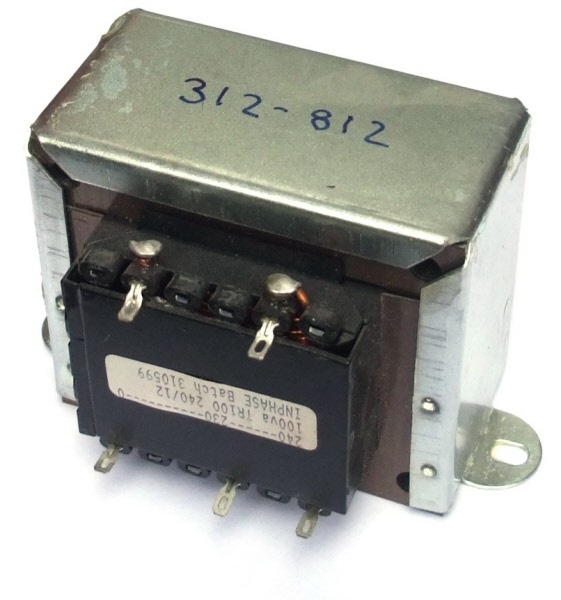 General purpose chassis mounting mains transformer. Transformer has 240V primary winding and single secondary winding. The transformer has solder tags.